NORWOOD PARK — Doors open on the right — at Nagle? Members of the Chicago Rapid Transit Coalition, which advocates for the expansion of public transportation throughout the city, are urging that a new station be built on the CTA Blue Line at Nagle Avenue. "It would have a big impact, especially in an era of limited resources," said Daniel Pogorzelski, a coalition founder. The group is urging the City of Chicago and the CTA to conduct a study to determine the effect a new station at Nagle and Bryn Mawr avenues would have on the traffic in the area and how many people would use the station. "We need concrete data and statistics," Pogorzelski said. The Chicago Rapid Transit Coalition is urging the city and CTA to crunch the numbers on the viability of a Blue Line station at Nagle Avenue. 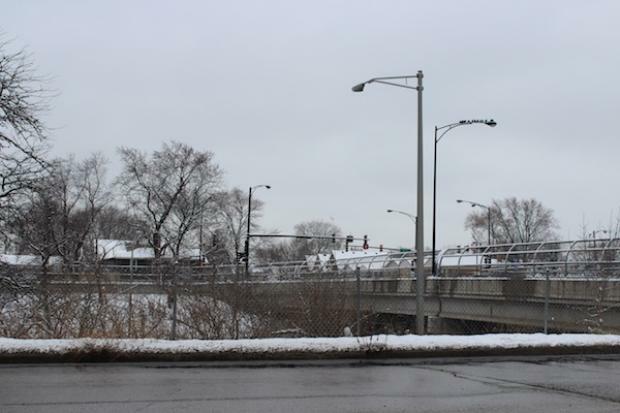 The three-mile stretch of uninterrupted track between the Jefferson Park station, which is near Lawrence and Milwaukee avenues, and the station at Harlem Avenue, is the longest in the CTA system, Pogorzelski said. "This could open public transportation to a whole new swath of the city," especially because bus service is not regular west of Central Avenue, he said. Ald. John Arena (45th) supports exploring the idea of a new station at Nagle Avenue because it would serve students at nearby Taft High School, said Owen Brugh, Arena's chief of staff. 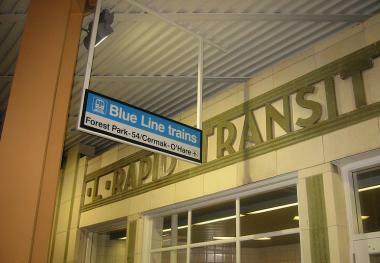 There has been no discussion of adding a new stop to the Blue Line, CTA spokeswoman Lambrini Lukidis said. When what is now known as the Blue Line was extended to O'Hare Airport in the 1980s, the plans called for a station to be built at Nagle Avenue. However, community opposition prompted by fears that the station would increase crime scuttled those plans, Pogorzelski said. Pogorzelski and other group members gave a presentation at the Gladstone Park Chamber of Commerce early last week, and plan to speak to other groups in the coming weeks. A new station would increase property values in the area by giving residents the ability to walk to public transportation in an era of seemingly unstoppable gas price hikes, Pogorzelski said, citing a study by the Center for Neighborhood Technology. In addition, it could help nearby businesses, including those along Higgins and Bryn Mawr avenues. The station would cost $20 million-$45 million, based on the cost of similar projects, Pogorzelski said. It could be modeled on the stop at Montrose Avenue, which features an escalator and staircase from street level to the platform. Although the CTA's budget has been pinched in recent years by the slow-growing economy and rising costs, it has opened two new stations on existing lines recently. Another — the Cermak Road station on the Green Line — is expected to open next year.